The Alien movies are unique in that every entry was directed by a relative newcomer who ended up doing amazing things with their careers. Ridley Scott, James Cameron, David Fincher and Jean-Pierre Jeunet have, outside of their work on this series of films, have created classics of the cinema. Unlike many on-going film series that have lasted decades, each one presents a new take on the original and expands upon it in thoughtful way… well, except for Alien Resurrection, which had some interesting ideas, but goddamn. Movies just don’t get more iconic than the original Alien does. Everything about it memorable: The story, the tension, the creature, the human characters, the dialogue, the costumes, the set design, the sound design and the famous and suspenseful false ending. Everything about Alien is classic. It’s a classic movie that transcends being simply a horror movie or simply a sci-fi movie or even a sci-fi horror flick… no, it’s much more. It’s a master class on filmmaking itself. To study Alien is to study an example of near-perfection in cinema. The problem with horror movies is this: What we’re afraid of is the unknown. Explaining that “unknown” to death gives it a face and an agenda and a reason to rationalize it. What’s scary is a shadow casting darkness… if you turn on a lamp, that shadow vanishes. If an audience wants to be scared, they need to be bathed in darkness, they rely and thrive on mystery. That’s why an explanation, like the one given in Prometheus, is totally unnecessary. We don’t care where the derelict spaceship came from. That’s what’s so scary about it. These “space jockeys” are millions of years old, old enough to have fossilized, and the cargo they carry is still alive. The dead of space, the cold and indifferent universe, is the perfect setting for a story of the macabre, and the story itself is as simple as they come–which is part of the majesty and brilliance of the movie. A crew of seven blue collar regular folk are awoken from their cryogenic slumbers on their way to Earth to investigate a distress beacon, on company orders. They find a derelict space craft on an uninhabitable planet with a payload of eggs, thousands of these eggs. One of those eggs hatches, a parasite attaches itself to a crew member and then he becomes the host which bursts, so to say, with an alien being ripping out from his chest and becoming a menace of unfathomable strength. It is an almost perfect specimen, and is a killing machine. It proceeds to kill the crew, save on survivor (Ripley; Sigourney Weaver) with relative ease. 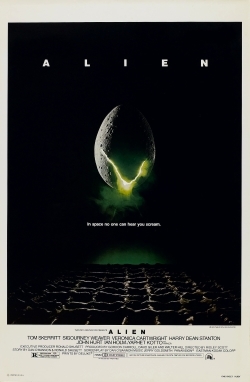 Alien is one of the rare scary movies to exist almost solely on atmosphere. Ridley Scott is masterful here and something as innocuous as a mechanical bird twirling on a desk is terrifying. The Alien could be anywhere. It’s in the air ducts, we know that for sure, but it can slip out as quietly as a mouse and kill any one at any time. Alien isn’t just one of the best horror films or sci-fi films (or horror/sci-fi films) ever made, it’s one of the best films of all time. Just like the creature, it’s near perfection. Now this is how you do a sequel. The original Alien is inspired by films like Planet of the Vampires but had the incredible input from H.R. Geiger, the undisputed master of beautiful horror, James O’Bannon and Ronald Shusett and the flawless direction of Ridley Scott. Aliens is inspired by the Vietnam war, where bravado led to loss of life and a total failure in modern warfare. James Cameron, hot off the success of the first Terminator film wrote and directed, with his partner in crime and wife Gale Ann Hurd producing. Alien and Aliens are different films altogether, but I always hear people say things like, “Oh, well, Alien is the horror film and Aliens is the action film.” I disagree. Aliens is every bit as horrific as Alien. I hear people refer to Alien as dour horror and Aliens as fun. I think both adjectives could be lodged at either film. Both movies are fun, but load the viewer with such sickening tension that when it’s over, all you want to do is breathe and enjoy the warmth of the sun on your face and thank god that it’s all just fiction. Aliens is sometimes almost unbearably tense. Aliens, as its title would suggest, is about the scenario of encountering multiple creatures from the first movie. The first movie made a huge to-do about how if just one of those creatures is on board, you’re all going to die. The second movie imagined how hopeless it would be, despite the amount of weaponry and technology available, to be surrounded by these creatures that don’t fear death. As far as sequels go, James Cameron has an excellent track record. Aliens and Terminator 2 are some of the best standalone films of their genre but when watched with their predecessors are even stronger in viewing. Aliens has a brilliant score by James Horner and amazing sound effects completely unique to the film. One blip or soundbite from Aliens will remind you exactly what film you’re watching. The Director’s Cut of Aliens is worth watching, but my favorite version of the movie is the theatrical cut, only in terms of pacing. the Director’s Cut has emotional and touching scenes regarding Ripley’s loss of a child (and since she was nominated for an Oscar with these scenes cut, I wonder what would have happened in an imaginary world where those scenes were available to the Academy) and the all-too-tense “sentry guns” scene. The only scene that slows down the action is the added scene of showing the life of the colonist on LV-426… I wish an extended version existed without that scene because it totally kills the mystery of the colonists and the tension of what they might encounter. 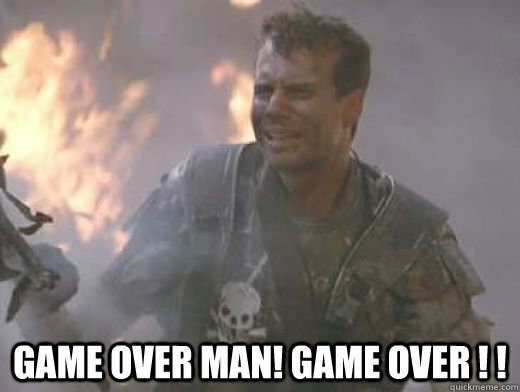 But, seriously: Any sci-fi movie that features Bill Paxton is going to be good. Trust me. Alien³ is to Alien and Aliens as Day of the Dead is to Night of the Living Dead and Dawn of the Dead: A not-bad third entry that would suffice if its predecessors never existed. Alien³ is not a bad movie at all. It’s a back-to-the-basics plot that forces a team of unlikely allies who are weaponless against an indestructible monster. David Fincher directed the third outing and does a masterful job with what he has. The shots are framed with the precision he would be known for in a career after, with a trademark bleak cinematography that also happens to pop the colors when necessary and never rely on a single trick. Alien³ is gorgeous to look upon. It’s enriched with colors of gold and brown, bathed in a blackness that never detracts from the beauty of the special effects props from such amazing soon-to-be effects masters as Chris Cunningham. The problem is, the production was a complete mess. The studio, acting like the malevolent “company” from the first movie, had a release date set in mind before a script, production notes or a signed-on director before all else. By the time David Fincher signed on, entire scripts had been written and re-written and thrown out. He was simply there as a janitor to clean up a mess he never created and somehow craft a movie out of all this. An extended cut exists and is the version of Alien³ that should be watched. Characters are fleshed out, sense is made of the plot… it just makes a much better movie out of Alien³ than the one everyone saw in theaters. It’s still not great–hell, it’s still not that “good,” but it’s significantly better and for some reason, the Alien being birthed from an ox rather than a dog seems to work better. Alien³ isn’t a great part 3 to the series, but it’s not as terrible as it was remembered. It has effective scares, emotional scenes, an amazingly photographed setting and the creature, as a stand-alone, is scary again. You should totally make your own cut of Aliens.